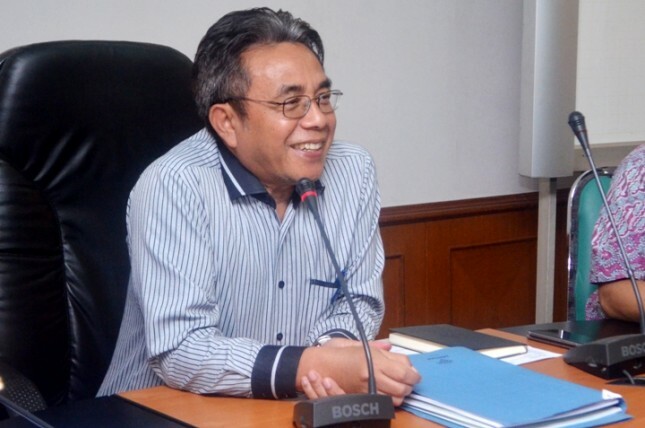 INDUSTRY.co.id - Jakarta - Director General of Agro Industry Ministry of Industry Panggah Susanto supports the policy of the Ministry of Marine Affairs and Fisheries related to the prohibition of the use of fishing gear which is not as environmentally friendly as cantrang. According to him, the arrangement of the marine and fisheries sector conducted by the CTF to the national fish resources should not continue to decrease. He also said, it would also together KKP find a solution to overcome the problem of fish raw material shortages that afflict surimi industry that occurred in some regions in the country. As proclaimed, the Minister of Marine Affairs and Fisheries Susi Pudjiastuti wants various parties to "move on" or no longer discuss about fishing equipment cantrang because there has been a commitment created between the government and the fishermen's representatives. "I ask all 'stakeholders' (stakeholders) no longer speak cantrang I do not want to talk anymore cantrang we move on'," said Minister Susi in a press conference at the Ministry of Maritime Affairs and Fisheries (KKP), Jakarta, Thursday (Thursday 18/1). According to Susi, the government is absolutely firm in the management of the national marine and fisheries sector, that sustainability is one of the pillars of development in that field. For that, she said, entrepreneurs today should also be able to do business by implementing sustainable, both in terms of profit and from aspects of production sustainability. As for the fishermen who still use cantrang, the Minister of Maritime Affairs and Fisheries confirmed that it will record one by one and will be assisted to replace the gear that is more environmentally friendly. "We will direct the fishermen to replace the fishing gear and accompany him to the banking," she said. Previously, at a meeting between the government and fishermen's representatives at the Merdeka Palace on Wednesday (17/1), President Joko Widodo explained that the result of the meeting was the government giving the fishermen a chance to move away from the use of cantrang.